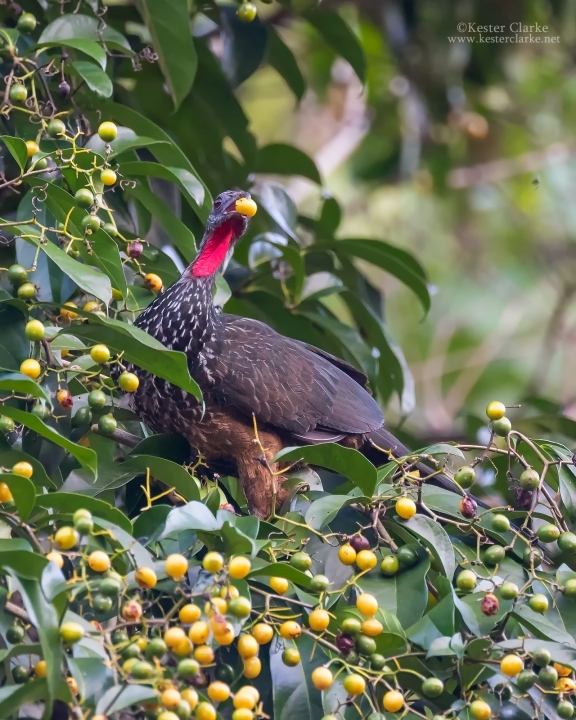 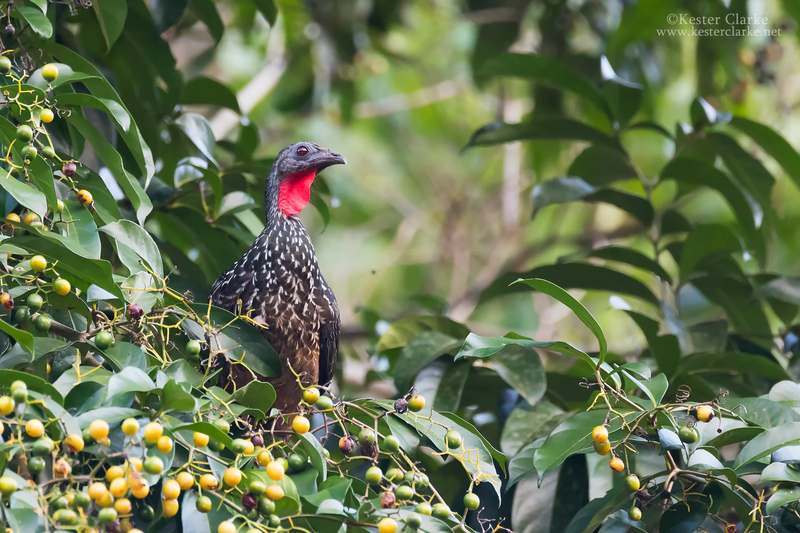 Spix's Guan (Penelope jacquacu) feeding in a tree at the Atta Rainforest Lodge, Iwokrama, Guyana. 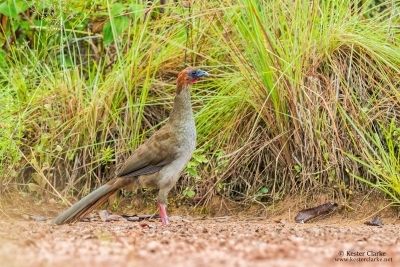 Local name is "marudi". 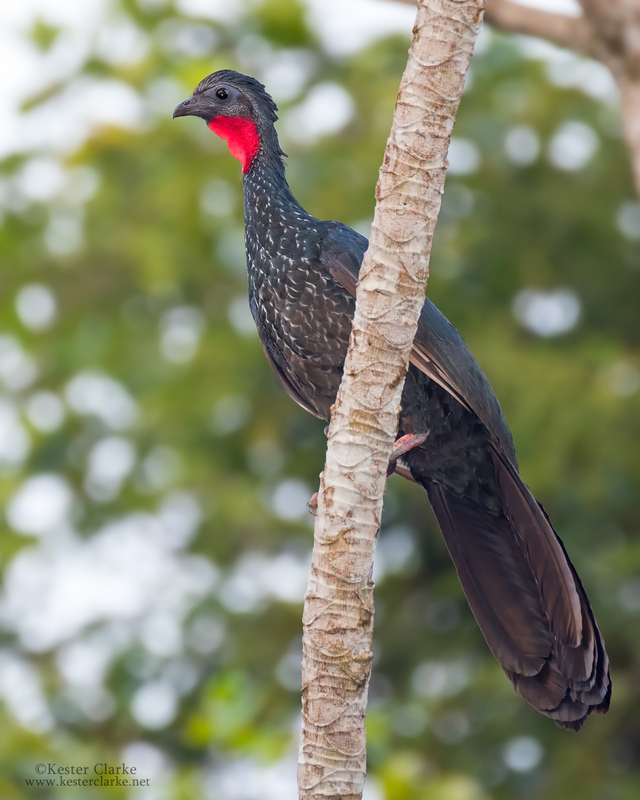 Spix's Guan (Penelope jacquacu) perched on a branch near the Atta Rainforest Lodge, Iwokrama, Guyana. 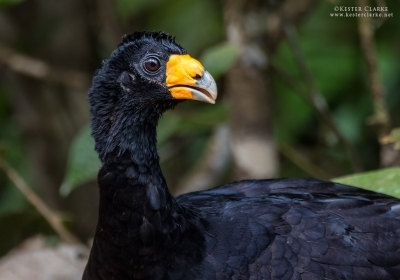 Local name is "marudi".